Product categories of Ammonia Valve, we are specialized manufacturers from China, Ammonia Valve, Ammonia Gas Globe Valve suppliers/factory, wholesale high-quality products of Stainless Steel Ammonia Valve R & D and manufacturing, we have the perfect after-sales service and technical support. Look forward to your cooperation! The valve is a special valve and a sealed full open Safety Valve, mainly used for refrigeration equipment and related pipes, which the medium is corrosive environment impact and can not leak. Work temperature:-50℃~+150℃. As overpressure and safety protection device, medium including: Ammonia.Chlorine.Propane and CO₂,etc. The valve is an pre-setting automatic valve. 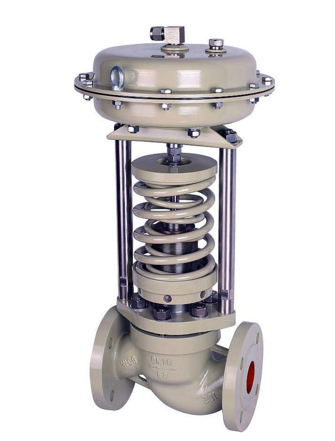 When the protected pressurized equipment appear to abnormal condition, the valve can be automatically opened and discharged. To protect the equipment containers.pipelines and other facilities system safe operation, it can effectively prevent the equipment when the pressure is continuous rising or it reduce to the limited values, the valve will automatically closed.